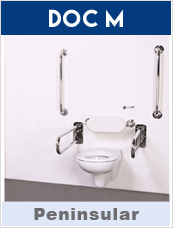 Disabled Toilets is your number one doc m pack shop ! We stock and supply a whole range of doc m packs from Low level doc m packs to a Close coupled doc m packs close coupled doc m packs. Our fantastic range consists of different styles from different suppliers, special offer doc m packs, luxury doc m packs and doc m packs with added accessories. We are very competitive in prices and we aim to give our customers complete satisfaction. 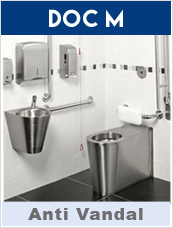 Wheelchair users should be able to approach, transfer to, and use the sanitary facilities provided within a building. This requires the provision of a wheelchair- accessible unisex toilet and should be compliant with the British Standard BS 8493.